Czech language for foreigners Czech language for foreigners for free: Learn Czech Language For Free! Have you ever wondered what language to start learn? Have you ever wondered to start with Czech language? I don't think so. 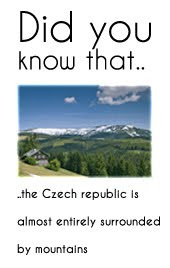 I do not think that everyone wants to learn Czech, because when you ask someone: "Where can I use Czech language?" They will told you: "In the Czech republic, Slovakia, but you can also a little understand Polish, Russian, Croatian or Ukrainian language!" Yes, true. The Czech Republic has around 10 million inhabitants and from the perspective of a man from China it is paucity but we can not compare an ant with an elephant. Do you know quote from Tomáš Garrigue Masaryk? Meaning of this quote can be - The more languages you know, the broader is your mentality. There are a lot of reasons why learn Czech language - you can need it to travel to the places in Czech republic, when people do not speak so much english, maybe you can start, because of your czech (boy)girl friend or just want to meet a new language. Beautiful language. I made this site for all who want to learn Czech from a native speaker and for all that tired just reading lyrics without pronunciation (audio) and agonize over how to say it. I will teach you gradually Czech entertaining way and I believe that you will succeed. Excuse my English, and let's learn the first word!